The Livestock and Forestry Research Station - known as the Batesville Station - is a 3,000-acre unit developed to do research with beef cattle management/production and forestry. The primary focus of this unit is to do large-scale replicated forage utilizing three of the predominate forages commonly used in Arkansas – Kentucky 31 fescue, bermudagrass and winter annuals on approximately 1,250 acres of pasture and hay areas. Research is conducted using the 350-head brood cow herd. 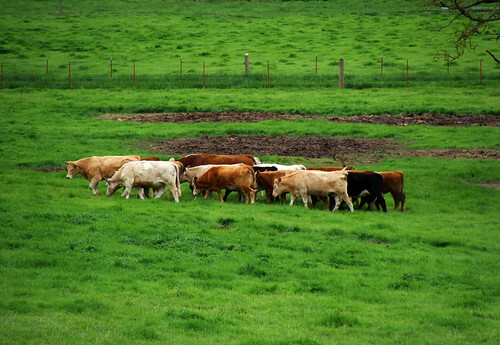 Developing and identifying fescue tolerant beef animals through DNA mapping and epigenetics. Using forages and growth promoting technology for stocker calf production and health to improve profitability and environmental sustainability. Utilizing prescribed burning, chemical applications and harvesting methods to improve timber stands. Using genetically improved Loblolly and shortleaf pine seedlings for reforestation and evaluating survivability.